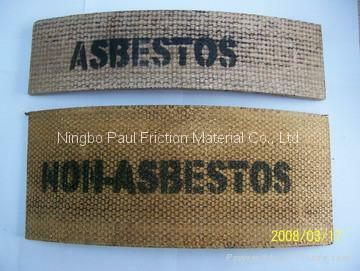 Non-asbestos woven brake lining with resin: We select new-type non-asbestos yarns which contain brass ,wire, viscose fiber, Glass fiber, Aramid fiber etc. 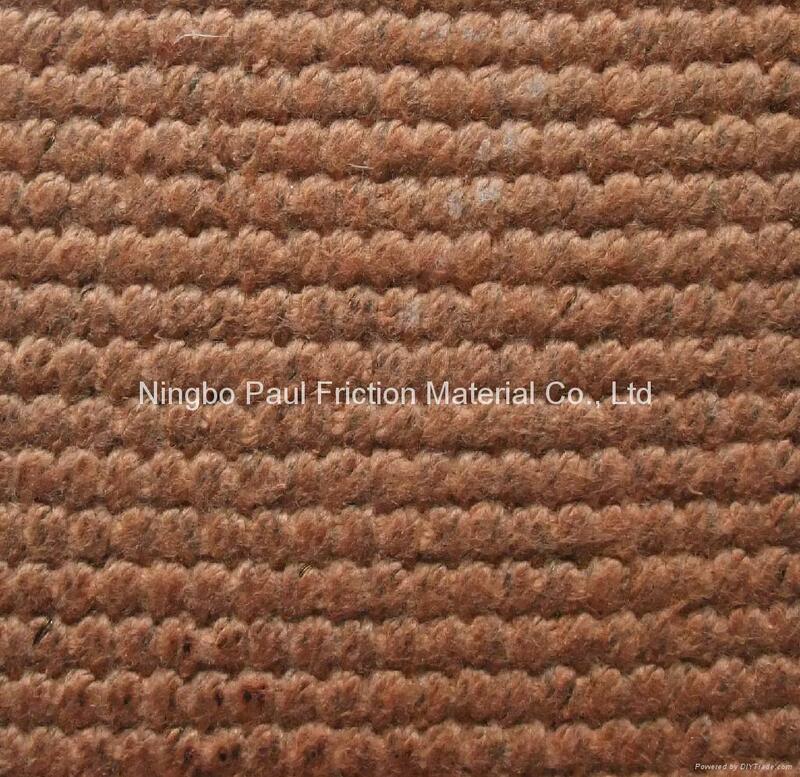 The yarns are woven by advanced loom machinery, used specially developed and produced macromolecule resin, through high temperature, low temperature workmanship. The product has high performance of wear resistance, low wear rate, high tensile strength, good softness, high temperature resistance, corrosion resistance, oil resistance, long service life and impact resistance etc... The products are innocioty, pollution free and environmental. Material: Viscose fiber, Aramid fiber, 6 pcs of brass wire, CNSO resin. such as ship winch, dock crane, drilling machineries, lifting machine, building machinery etc. Materials: Viscose fiber, Aramid fiber, Glass fiber, 2 pcs of brass wire, Melamine modified phenolic resin. Applied field: Widely used for braking deceleration and transmitting power of big power machineries.